Bitcoinx » News » Is Bitmain Opening A U.S. Facility? 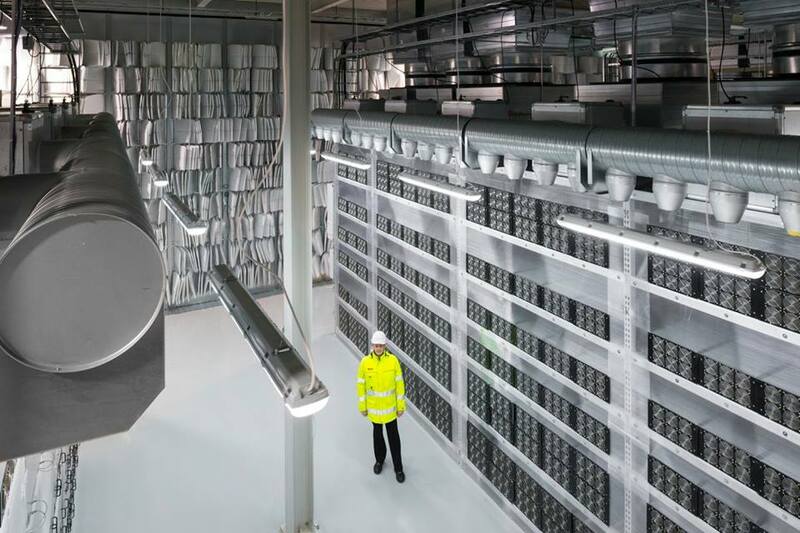 Posted by Steve Shanafelt at March 9, 2018 in Bitcoin Mining, News Comments Off on Is Bitmain Opening A U.S. Facility? Bitcoin hardware manufacturer Bitmain may be in the process of opening a new facility in the U.S., according to a new report published on CoinDesk. The privately held Chinese firm appears to be tied to newly established company called Ant Creek, LLC, which is currently negotiating a land-use deal with officials in Walla Walla, Washington. According to an article published by the Walla Walla Union-Bulletin, the deal includes the option for Ant Creek to purchase up to 40 acres in a largely industrial region overseen by “special purpose government entity” the Port of Walla Walla, which focuses on attracting business to largely rural Walla Wally County. Bitmain’s co-founder Jihan Wu is listed as Ant Creek’s only governing person, making the connection to Bitmain hard to argue. According to some estimates, Bitmain generated some $3 to $4 billion in profits in 2017, with a significant portion of that coming from the company’s own cryptocurrency mining facilities in China. With cryptocurrency rapidly becoming a target of increased scrutiny for Chinese authorities, it’s possible that Bitmain — or at least Wu — is looking to diversify with an expansion into the U.S.
With a greater metro area population of less than 65,000 people, the semi-rural setting of Walla Walla may seem an unlikely setting to launch a new cryptocurrency mining facility. The move is hardly arbitrary, however, as Walla Walla has ready access to the same abundant and inexpensive hydroelectric power that has helped rural Oregon become a new hotspot for bitcoin mining. Energy prices are even lower in rural Washington, and it hardly requires a bitcoin calculator to see the appeal for a company like Bitmain. The new bitcoin facility — should it be approved by local authorities — would launch with a lease of existing industry property in a business park through the end of 2018. Port of Walla Walla Executive Director Patrick Reay told the Walla Walla Union-Bulletin that the deal has been in the works for about six months, and that the lease is intended to provide time for due diligence, and for Ant Creek and Walla Walla County to assess land requirements such as water connections and stormwater drainage. The deal is expected to bring between $7 and $10 million in private investment to the area, and provide around 20 new jobs. It remains unclear what kind of cryptocurrency operation plans to bring to Walla Walla, as reports consistently refer to the project as a “blockchain facility” rather than a mining operation. 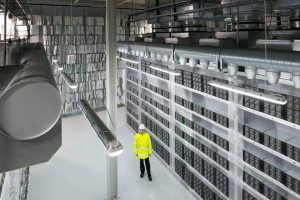 Bitmain already has satellite operations in both Switzerland and Canada, and this new facility could be anything from a standalone mining operation to an expansion of the company’s Hashnest cloud-based mining product. It may even be something of an insurance policy, giving Bitmain a foothold in the U.S. market should Chinese regulators become even more hostile to bitcoin mining.